Different users on many different platforms ask this question that we should choose which Blogger or WordPress for blogging? 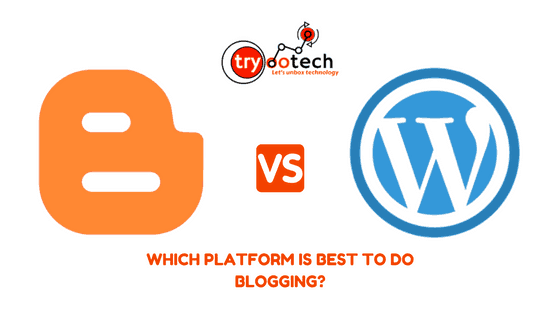 and which of these two blogging platforms is better?. Most of you will hear this feedback that you should choose WordPress in comparison to the blogger as there are so many benefits of it. 1 Blogger vs WordPress which is best to Start Blogging? 1.6 So At Last, We Compare 1. Blogspot: Why and why not? & 2.Wordpress: Why and why not? 1.7 Matt Cutts Ideas: Blogger or WordPress for SEO? Blogger vs WordPress which is best to Start Blogging? Here we will tell you what features of Blogger and WordPress self-hosted (which you host on your hosting service), then you decide on your own which will be the best suitable for you. We hope that after this article, you will be able to decide according to the requirement that which option is best suited for you. Easy to use – Even if you do not have too much technical, you can easily create your own blog by following some steps. It’s free – Creating a blog on Blogger is absolutely free and there are no charges at all. Blogger does not charge any subscription fees, registration fees, sub-domain fees, hosting fees. Free hosting from Google – One of the biggest benefits of Blogger is its free hosting service. Along with Free hosting, its biggest advantage is reliable and 99.999% up-time. If your website gets too much traffic or an increase in traffic, your hosting company will either downgrade your website or slow down. All these problems will not come here. Blogger does not even perform the site down on the website’s load peak. Here, you do not need to worry about hosting plans when your website is popular. Benefit of Google platform: – Because the blogger is Google’s product, so it becomes easily integrated with Google’s second service or product. Such as Google+, Google Places, Google Webmaster, Google Analytics, Picasa Web, Google Docs, FeedBurner, Picasa Creative Kit, Google Drive, Google Merchant, etc. You can integrate and maintain all of these services with the same email id. Security – Google keeps updating the security patches of the blogger according to the requirement, so you do not have to worry about anything. Domain Name: – When you create a blog on a blogger, you can create your sub-domain on a Blogspot without any domain name, and later you can link it to a blogger by requiring domain name purchase. Website Indexing – Do you know that the Blogger sites, Google search index, indexes in 24 hrs. Faster indexing means that traffic to your blog will start coming soon. Easy to use and understand – Blogger is considered the easiest blogging platform and its reason is its interface and editor. We have just explained the advantages of the blogger. Now we will explain the differences between the blogger and the word-press, which will help you to understand the best suitable platform. All your data in Blogger is hosted on Google’s servers, so you do not have much control over databases and files, while in the WordPress self-hosted blog you host blogs on the server of your choice so complete your blog’s database and files. Control happens to you. Difficulty level – Creating and using a blog on Blogger is very easy compared to WordPress. You can create Blogger in less than a few minutes after having less technical skills, but in WordPress, you need to have technical skills in order to be aware of hosting. Expandability – Despite many tools and themes available on Blogger, it is less than WordPress. After a limit in Blogger, you can not expend your blog while too much flexibility and expandability is possible in WordPress. There are thousands of easy to use free and paid plugins in WordPress that you do a lot on your blog. Look and appearance – Well there are many themes and layout options in blogger, but still there are not many professional appearances in the blogger as you can bring in WordPress. To make the appearance and look better in WordPress, there is a lot of free and paid options compared to blogger. You can give professional look to your blog using WordPress’s high-quality themes. Hosting – In creating Blogger, you do not have to worry about any kind of hosting expense, while in WordPress, you have to purchase a web hosting package from a good hosting provider to create a blog. Well if you go to WordPress.com then you get free blog hosting but with a lot of limitation, you can not place ads on there. That’s why we are here to tell you the difference between WordPress self-hosted service and the difference between the blogger platform of Google (self-hosted WordPress.org). Support – blogger has limited support compared to WordPress. In Blogger, you get some online documentation and community support but that is not enough, while WordPress has very active support forums which can support you. Blogger is Google’s Platform This means all your data are stored on Google. You can easily create a blog in your Gmail ID and you can create up to 100 Blogs with the help of a Gmail ID, but you do not have access to the server, Google has the right to it, that means Google Whenever you want to close the account or close your blog, you can not make any claim or objection to it. While WordPress does not have such a thing, you can host it yourself, that means you have the right to have whatever data you have in WordPress. You can turn it off whenever you want and when you can start it. For this, you get a WordPress software that installs in Hosting. When you want to start your blog and when it will stop, you will set it apart. You can also share whatever data you want with the third party, you also have to decide for yourself. In Blogger we can use only a few templates which are already in Blogger. A template is a kind of texture or design that we can use to change the appearance or look of our blog by using it in Blog. There are very few templates in Blogger which can be used and those who do not have a good look at Blog and you can not even create layouts in it, meaning that you can not design your blog according to your style or style. There is no such thing in WordPress, you will find thousands of free templates or themes, and that too high quality, which will look like your Blog Professional website. You can make your own layout, that means you can give it a shape according to your mind. To conclude, WordPress is much better than Blogger. In Blogger, Google gives you some tools through which you can control your blog but there are some limitations and you have to work in the same. If you want to put something more on your blog, then it is not possible. You have to work with the tools provided, while the WordPress Open Source Platform, which you can customize according to your wishes and put the features in your own interest, in this, you can improve your blog by installing any plugin. .
Blogger is Google’s Platform This means that it provides the best protection for blogs created in it. If your blog is in it then you do not have to worry about security. Hacking it is very difficult and no matter how much your traffic comes, your blog will never slow down. It is not that WordPress is not safe. It is also very safe, but Blogger does not win, you host your blog in it. This means that the ones you are hosting are limited if they are limited resources. You need to take care of the security of your blog because it can not handle more traffic, so you can use the plugin. This means that Blogger is better than WordPress in terms of security. In Blogger, Google gives you 1GB of space, you have to store all this, but you can easily add it to your Google+ account so that they will get more space in WordPress, which costs $ 4.95 / month. And you can also use the space as much as you want. You can transfer your data to another platform in Blogger, but it is very difficult to work and you can also spoil your SEO, which can reduce the traffic of your site and you may suffer loss, that is, the month Or the hard work of the year is most likely to be wasted. In this, Google Portability gives convenience, but this data remains on Google’s server for a long time, so there is no such thing in WordPress if you have to change the domain name of Blog or change the hosting site or change the platform, in WordPress You can do everything easily and you do not have to face any difficulties. This means that even in the Portability WordPress blogger is better in some ways. Blogger does not ever bring its updates, nor adds any new features. Google has not made any changes in the following years, as mentioned earlier, that WordPress is an open source software, so its update has come many times You can update it in your own way and improve your blog. SEO has become very important in today’s times, which helps to increase the Traffic of Blog / Website and make it search engine friendly. Blogger is also behind WordPress in terms of SEO, although there has been a change in SEO in the past few years, that is not enough, while there are many plugins in WordPress that can improve your blog’s SEO and also change can do. Apart from this, you can create an account for free in Gmail and through a Gmail Id, you can create your own blog in Blogger. For this, you do not have to spend anything for this reason that people start from the beginning, while you can also create Free Site in WordPress.com, but due to some limitations, people do not create a site and Word. Blogging is very important for your blog to be responsive so that your blog is well-show on all platforms and your readers can easily read your content. When you create a blog on Blogger, you provide basic templates in Blogger Free and recently Blogger has also launched some New Design Templates which you can put on your blog. Also on the Internet, you get Free and Paid Responsive Template which you can add to your blog and make your Blog look more Attractive. Now if you talk about widgets, then many companies have created widgets for your promotion and your convenience, which you can put on your blog. For Example Social Media, Facebook Like Box, Latest Post Widget etc. That’s why Blogger is no longer far behind in Word of WordPress. On WordPress, you can design the theme according to your convenience, so you can make your blog look as you wish. With this, you can easily find lots of Free and Paid Template on WordPress and you can download templates from other sites on your WordPress Blog. Now, if you talk about widgets, then you get plugins for almost everything on WordPress, through which you can easily add anything to your blog and enhance your blog’s look and convenience. In order to properly blogging you should always take a backup of your content so that you can restore your blog from that backup if you have any kind of problem in Future. It is very easy to back up a backup or theme inside Blogger, from time to time, you can keep your content backed by downloading and saving it privately. Always keep a backup of the blog from time to time, if there is a problem with your blog or you want to transfer your content to another platform or blog, then it becomes very easy. Creating a Backup of Content on WordPress is very easy. You can also make WordPress your backup from time to time so that you do not have any issues with Future. 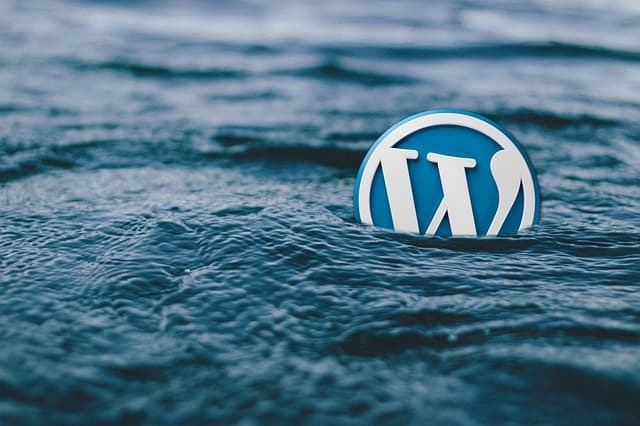 You can use your hosting panel to create a back-up of content or you can also take a backup of your WordPress Blog using the Backup Plugin. So you do not need to recreate your content. You should periodically create a Backup of your content, which should cause some damage to your blog due to any of your Mistake in Future, then you do not need to start from Start. You can install Backup of your content again on your blog. Save your time and hard work. So At Last, We Compare 1. Blogspot: Why and why not? & 2.Wordpress: Why and why not? Blogger or BlogSpot platform is very useful when you want to start a blog, just to share your thoughts. When you do not open a blog for money, or you need a platform that does not have any technical knowledge, BlogSpot is really great. In terms of Functionalities or SEO Benefit, there are many limitations in BlogSpot, but overall if you want a platform which is 0 cost, then BlogSpot is the right choice. At the same time, if you blogging for money, fame or your branding, then BlogSpot is not the ideal choice. The reason for this is that there is a limited control on the visibility of your search engine, and after some time you have only some limited features to add. I have read this many times that Blogger is Google’s platform, its SEO has more advantages, but it’s a pure rumor. It does not matter exactly which platform you are doing, whether it is WordPress, Blogger, this and any platform, SEO depends on how you have configured your site for the search engine. We have limited control in the Blogger Platform, and despite the fact that it has added SEO benefits, there is a lot of SEO optimization in BlogSpot. 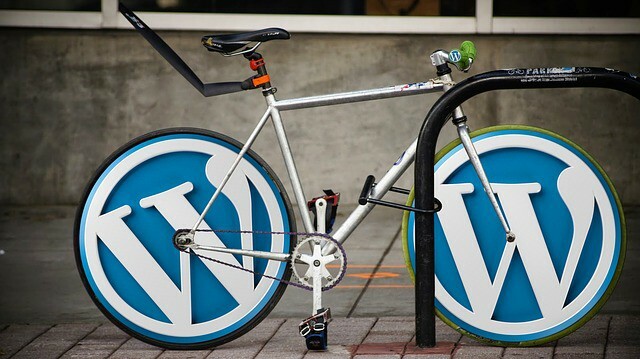 WordPress gives you full control over your blog, and you can technically do whatever you want. You get complete control over SEO, you host your own files, you can add SEO plugins, which help make your blog SEO friendly. Moreover, you can always add fresh SEO techniques such as star rating, authorship without sweating. WordPress gives you the freedom to do whatever you want but at the same time, you have to manage your blog. You have to install WordPress on your server and maintain the blog. If you are building a blog, thinking that you have to make it popular, earn money from it, then you should prefer a self-hosted WordPress blog. If you are an occasional writer or a hobby blogger, otherwise BlogSpot is the best pick for you. Matt Cutts Ideas: Blogger or WordPress for SEO? Matt Cuts is not just Google’s Engineer but he is also the head of the Google Webspam team. They are among those who tell common people like you and me that what Google hopes for a website, and how the search engine works. MattCutts also uses WordPress for their personal blog. They have also mentioned that Blogger is good for new users, but WordPress gives you more power and you can customize it as you like. If you talk about SEO, default installation is both the same. WordPress’s default installation is not SEO friendly, but you can make it SEO friendly by using Plugins. Understanding what is the difference between WordPress.com and WordPress.org is very important. If you want to make money from WordPress Blogging, then you should know the difference between them, otherwise, you can earn money even after doing hard Word. So let’s see if WordPress.com is the best in WordPress.org. org is a Self Hosted Platform, while WordPress.com is Free Platform. Get Full Theme Support at WordPress.org Where you can upload a custom theme and customize the Exist theme. While Limited.com is available in WordPress.com. You can not upload Custom Theme to here only You can use Exist theme and customize some of its Basic Feature. You can upload plugins for Blog / Website at WordPress.org. While the plugin is not allowed on WordPress.com i.e. you cannot upload plugins here. Sell Adsense on WordPress.org i.e. you can connect your website/blog to a platform like Google Adsense, and make income. While WordPress Ads are not Allowed, that means you can not earn money from Ads from here. Friends, here I have told 2 most important Web technologies about which one is WordPress.com and the other is WordPress.org with the difference between the two. WordPress.com Vs What is WordPress.org? By saying a website can be earned money and can get free hosting from said. After watching all these points, one thing is clear that if you can invest a little bit then the WordPress is good but if you are starting, you can also use Blogger. We personally created our own blog on Blogger as well as many bloggers have also seen that they prefer Blogger only. Best Blogging Platform. Blogger is much better because it is very easy to use because if you want to make a career in blogging and do not want to invest more in the beginning then Blogger is the best for you. Really I am Impressed by reading your detailed content, Your writing style and design is amazing. I also run my Dream Blog LogicalDost from last 5 months Blogging is really amazing for passionate guys. Glad to know that and thank you so much your lovely comment. Amit Bhai hosting server konsa use karu. Abhi main hostgator ka use kar raha hu. amit bhai mene blogging suru karna chanhta hnu.Unique content kaise banau konsa website unique post bananeme sahayak karega batasakte hai kya.konsa blog best rahega English or Hindi. English is always best. Bcz you will get more organic traffic in english. So, start in english language. you can get some paragraph in blog post to make it attractive. But full blog in Hindi is not a good idea.. Yes dear, thank you so much for your lovely suggestion. Bhai English me bahut competition hai! Isliye Meri salah to yahi hai ki tum Hindi me blogging start karo. I am your subscriber from the YouTube. Thank you for guiding us. thank you so much dear and love you visited from the channel. very nice article Amit sir.It will help many people who want to start their blogging carrier. sir, great article…blogspot pr ek fayda hai ki hosting free milti hai..
Hello Amit Mishra Bro, very nice information and really informative information. Please keep it up. Thanks for the shared with me. Nice article keep the hard work. Thankyou amit sir for giving this useful information .. i must say that your article are just awesome ! Thanks for sharing.. I am really glad to know that my articles on blogging helping people to solve their problems and helps you learn something new. Very nice article……. Thanks for sharing your knowledge bro….! Thank you so much dear blogging is the best. Great blog. Thanks for sharing..!! Very nyc article keep doing ! This is Tazeem your YouTube Subscriber and the one who purchased your afffiliate marketing book. Your Article’s are very Useful. I Have Lots of interested in blogging and affiliate marketing. More Companies are offering a job to me in my field, they ready to pay 20k – 30k per month, but my mind is full on blogging and affiliate marketing. i like to know more about blogging, affiliate marketing. and i am thinking to join a course to learn it. what you will suggest, should i go any best institute or should i can learn through youtube an websits. please help me with a good solution. Thank you so much for your comment, i will recommend you to go with online courses, that will help you to learn better. About buying domain, hosting, creating website or blog, affiliate marketing, SEO, backlinking, and everything that make success in blogging. Is this all possible to learn online. Can we learn everything in online. Good and complete article about blogger vs wordpress. Thanks for sharing with us! Yes, dear my pleasure you loved the article. thank you for helping me for getting article rank, i tried the strategy you shared and i got the good result. Amit bro very good information i like your blog iam al wayes visiting your blog becose itrust you thanks amit valuble infomation keep it up. Thank you for sharing your knowledge and secret ingredients. Outstanding content !! I must say that. I have a question regarding “Content writing”. Should I hire a Content writer if I am a new blogger, I am finding little difficult to write Articles on technical stuff like Mobile phones , Though I feel I will do it but it will take a long time to write minimum 5 articles – so I am confused about writing it myself or should I delegate this to a content writer. What is your thought on this ? I will suggest you if you have money to spend then you can definitely go with content writers. Hire some quality writers which will help you to boost your blog post. Thank you for sharing. Please create another post about Amazon AWS. okay sure i will try to write on it. Thanx sir for providing information my blog is on blogger and i want to switch to wordpress …please help me how to switch blogger to wordpress and i need information if i switch to wordpress my blogpost backup will be done or not help me. Is there any chances to rank our posts in blogger, if yes then how long it will take to rank in search engine. Amit bhai its an amazing article, recently I recommend 2 people to read this when they asked me about it…. I have a new blog on blogger platform and I have purchased a domain from GoDaddy and added to on my blog. Hi Vikram, yes you can use same domain name on WordPress also, you just need to buy hosting and change nameservers on Godaddy account, if you want discounts on ResellerClub hosting email me I will share you coupon code and discount link. its an amazing article, helpful…. i m kunal from mumbai your big fan and your you-tube subscriber. i like your affilate marketing video its superb and and i like your backlinks wala video. Your Article’s are very Useful. i have my own website and your video is very helpfull for me. i need more traffic on my website sir. Hi Kunal, focus on Keyword research, building a healthy link profile. sir i want to do affiliate marketing can u tell me which platform is best. Thank You Sir. I just got my answer. My confusion is over. Thanks for the help sir. Keep it up. This such an interesting and informative article for me, cause I’m a new Blogger and thanks for sharing your thoughts and knowledge. WordPress is the best platform to do professional blogging most biggest websites uses wordpress for their business. Thanks for this awesome and helpful Article. Earlier I used to work on Blogger and now I have shifted to WordPress. It’s quite amazing and easy to use with tons of Plugins. Really thanks for sharing this Helpful Article! First of all, I am your subscriber in YouTube from Nepal. Really nice post. Thank you for sharing and guiding us with helpful information. hello sir, my all confusion clear about WordPress and blogger…. I read this article and got clear about the blogging platform. 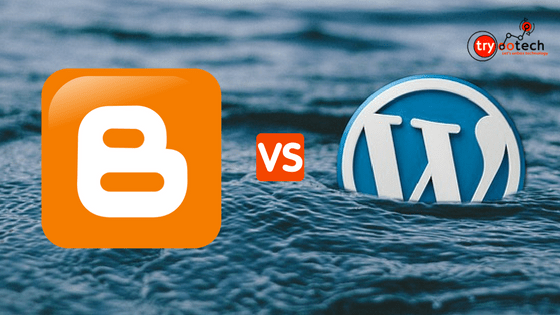 I read this blog and found the difference between WordPress and Blogspot. In this way wordpress is better than blogspot. But As a newbie I start with blogspot. Sir Free Hosting Istemal Krne Ke Kya Nuksan Ho Sakte H.
You will not get rankings and it is a major concern in SEO. Really amazing & Keep up the good work amit sir? hi sir. your this post is awesome. and also ur blog is great for sharing a nice useful information. my name kunaal from mumbai, India. i like backlinks video and affiliate marketing video and its very nice presentation. and i will sure try on my website and thnx you very much for update .. i m your big fan.. thnx.. and help me for more traffic on my url. I am new to blogging and would like to start to new blog to earn money in future….so which one is good blogger or wordpress? In my recommendation WordPress is very easy to use and highly customisable..
wow, just amazing post bro keep up the good work and thanks for this post. I like blogger website to use. Hello amit What can you tell us how long a post takes to rank in Google. A normal rime a blog post takes to rank is minimum 3 months however if the competition is low then you will rank fast for your target keyword. Very nice bro,boht sekha ap k es post se. Ma es natija pa pohancha ki blogger ko left kr rha aur WordPress pa shift kru ga blogging. Thanks for your appreciation this will motivate me to write quality articles for you guys. Very useful information thanks a lot.